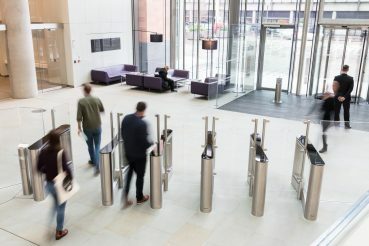 PRODUCT: C2 & C3 Security Portals & EasyGate HG Speed Gate SECTOR: Research & Development CLIENT: Francis Crick Institute LOCATION: London The Francis Crick Institute, the largest biomedical research institute under one roof in Europe, was opened by The Queen and The Duke of Edinburgh in late 2016. 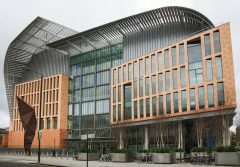 A striking £650m landmark in the heart of London, situated next to St Pancras Station, the Crick is a purpose built biomedical research facility. Designed by HOK and PLP architects the Crick is one of the most complex buildings in London with a very high level of specification. With floor space approaching 1 million square feet over 12 floors, 4 of which are below ground level, the design of the building was technically challenging. The state-of-the-art building was developed to minimise its environmental impact and be highly sustainable with an ‘excellent’ BREEAM rating. The Francis Crick Institute was designed to support scientific research goals whilst promoting public engagement. Encouraging interaction between scientists with an open feel and layout whilst being accessible to the public for lectures, exhibitions and a teaching laboratory for school children posed a difficult security balance. During 2017 when the building reaches full capacity it will be home to 1500 scientists and support staff. With varied levels of building security required, Meesons proposed a combination of anti-tailgating solutions; Security Portals and Speed gates. With a high number of staff and visitors entering the building, throughput was a key concern. 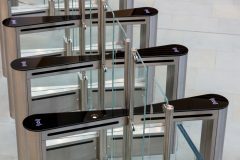 Meesons proposed 5 lanes of EasyGate HG high glass speed gates to provide a stylish, quick throughput, controlled access solution within the main building reception. The 1800mm high glass wings provided an added level of security once within the main entrance. 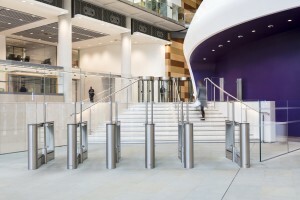 A higher level of security was required to the main research facility where Meesons recommended the Cylindrical C2 and C3 Security Portals to provide a secure line to prevent unauthorised access. 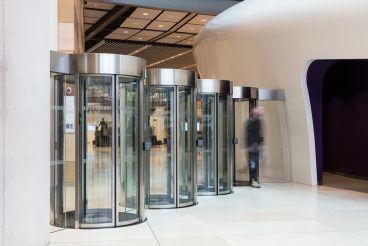 Meesons were able to offer the Security Portals in a brushed stainless steel finish to complement the modern appearance. The highly transparent cylindrical design of the C2 and C3 Security Portals ensured the open feel was maintained, with a low visual impact. The intuitive interlock system enabled unmanned secure access for all its staff to freely go about their work, day or night. With a low power consumption, the C2 and C3 Security Portals and EasyGate HG Speed gates were the perfect choice to further enhance the buildings low energy footprint. Throughout the process Meesons worked closely with the project team to ensure the smooth installation of the 7 Security portals and 5 lanes of Speed gates.